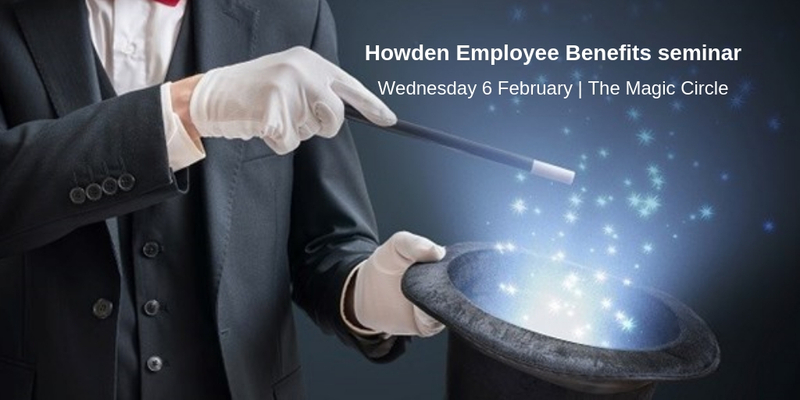 Matt Jenkin, Moorcrofts Employment Partner will speak at the first of a new series of educational, engaging and enjoyable employment seminars by Howden Employee Benefits. The free to attend seminar will be held on Wednesday 6 February from 9:00 AM until 12:30 PM at the secret headquarters of the Magic Circle. Matt Jenkin’s talk, entitled, ‘Pulling the rabbit out of the hat’ will be an Employment Law update, looking at the Supreme Court’s decision to abolish employment tribunal fees and although they may have led employers to assume that such fees had disappeared for good, Matt wonders if they might yet magically reappear? He will also take a look at what other employment related legislation the Government has up its sleeve including the latest on the gig economy reforms, the imminent changes to IR35 in the private sector, ethnicity pay gap reporting, and a review of cases having a practical effect on employers. For more details about the event and to register your place, please visit the Howdens website. Matt Jenkin has written a number of blogs around the Gender Pay Gap topic, including: Justify the Gender Pay Gap and Equal Pay. If you would like any further information or employment law advice, please contact Matt Jenkin.